In the Regency era, a young lady who gained the reputation of being a bluestocking would likely find herself “holding up the walls” as a wallflower at a ton event, since it was not the thing for a woman to be more educated than a man. Women were to be beautiful, fashionable, eloquent yet demure, and proficient in the social graces. A typical lady’s education would include reading, writing, geography, history, embroidery, drawing, French (or at least some French phrases), music, dancing, and, of course, riding, should her family have the means for a stable. 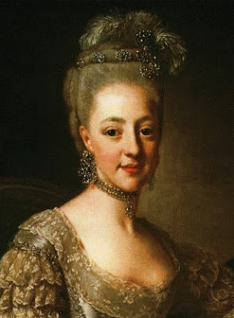 While there were, of course, learned ladies in society, it was thought prudent to keep one’s scholarly achievements private in order to avoid the bluestocking label, particularly for a young lady on the marriage market, which most genteel young ladies were. One hint that she might have blue tendencies could ruin her reputation and her opportunities for an advantageous marriage. And for most young ladies, marriage was the decision of a lifetime. Since divorce was nearly impossible and the husband held all the cards in the relationship, a mésalliance could very well mean a lifetime of misery and regrets. In spite of this, there did exist a smattering of ladies—even some young, unmarried ladies—who defied prudence and flaunted their academic superiority to all and sundry. Some were married already, probably to indulgent husbands or those who were scholarly themselves. Those who were unmarried typically disdained the traditional role of women and did not aspire to giving some man control over them, although presumably these, too, were blessed with indulgent families with enough wealth to support a daughter for the rest of her life. There were some, like Hannah More, who, although she eschewed the frivolity of the ton, advocated the traditional role of marriage as the ideal for women, even though she herself never married. The name of the group supposedly came from an invited guest, Benjamin Stillingfleet, a noted botanist and scholar, who wore blue worsted stockings to the meetings because he could not afford the requisite black silk ones. Since the group prided itself on valuing conversation over fashion, the term bluestocking was more of a jest than a slight in the early days of the society. It was later that it became a term of shame and derision when applied to a young lady. Stillingfleet was the son of a physician who attended Cambridge and worked as a tutor to his young relative, William Windham. He later accompanied Windham on a Grand Tour of the Continent, where they lingered several years, doing, among other things, scientific studies of the glaciers, for which his protégé was later honored as a Fellow of the Royal Society. A bluestocking heroine, you say? It can be done, of course. I’ve read dozens—if not hundreds—of historicals with bluestocking heroines. But she needs a special sort of hero, doesn’t she?—one who has enough confidence in his own abilities to appreciate and desire to nurture hers. Or at least, that’s what he needs to become by the end of the story. And I think it’s also important for him to be able to draw her out of her preoccupation with academics and into the real world on occasion as well. However, in order to become a bluestocking in the first place, a heroine would need to have been brought up in a manner that would make this possible. A rare, scholarly family, perhaps, or a negligent one that doesn’t realize how much time she spends with her brother’s tutor and is properly horrified when they discover it. Because any girl tagged as a bluestocking would become the object of much derision and gossip by the high-sticklers of society, and these high-stickers never forgot such things, even when they were proven untrue. A marriage-minded miss and her mother would be horrified at the very thought. As a former teacher, I cannot help comparing this to the seeming popularity of idiocy in modern culture, at least among the youth (I was a middle school teacher). It’s always been a concern of mine that adolescents—particularly girls—play down their intelligence in pursuit of popularity. Frankly, I’ve never understood it, not even when I was that age. Why anyone should eschew their God-given intelligence in order to cater to someone else’s insecurities is beyond me. One would think that we would have evolved beyond this by now, especially with the job market being so competitive, but I’ve seen too many students of both genders fail to take advantage of their academic abilities and end up with lives on the fringes of success. And frankly, all the standardized tests in the world are not making a whit of difference in the status quo. That’s what I think anyway. What do you think? Do you think movies like Dumb and Dumber only serve to lower the value of serious scholarship among our young people? CBLS Promotions is sponsoring a Blog Barrage for Treasuring Theresa today and tomorrow. 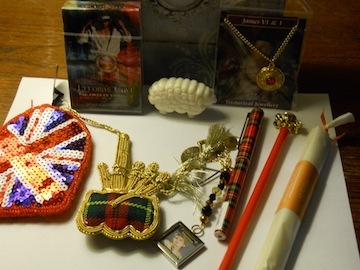 Check out the stops and enter the Rafflecopter contest for my newest treasure box (including UK souvenirs) (see below). ← It’s Party Time for Susana’s Parlour! I was named most studious in high school. I’m betting that makes me a bluestocking! It’s amazing to me that this still happens. Tweeted. I am a retired teacher and understand all about students not wanting to seem to be the smart one in the class. Such a shame. And movies don’t seem to help dispell this situation. Well, I would have definitely been a Bluestocking. I think it’s a shame that it’s still happening. Dumbing down I’ve heard some people call it because of being embarrassed by one’s intelligence. I agree with Jackie W about the movies as well.